You can tell a lot about person, based on their complaints. Our complaints can reveal the victim in us. They can expose us as blamers. When I spend too much time grumbling about something, that something has control over me. Let me encourage you today: rather than complaining, do something about it! Think about your biggest issues. Is it possible that you can take action that will, in some way, improve the situation? Can you communicate better with your spouse? Can you try to improve the conditions at your job? Can you begin eating better and resting more and working out – to improve your health? 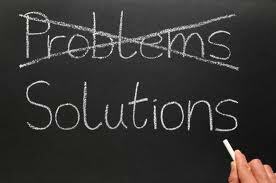 While I am not saying that we can fix all of our problems, I am saying that complaining about our problems is counterproductive. Let’s be proactive and positive. 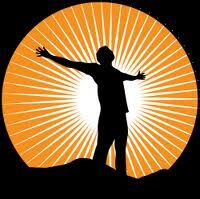 If I can harness the energy that it takes to complain and channel it toward solutions, things will surely improve. That problem won’t go away unless you do something about it. You have complaints? Join the club! Now, let’s do something about it. No, our group does not have a bovine fascination. This verse isn’t about oxen – it’s about relationships. In essence, I think the verse is telling us that life is simpler if you don’t get too close to people. It’s quieter, cleaner and less complicated. Your “stable” will stay clean if you are the only one in it. And that philosophy guides the lives of a lot of folks. Isolationists. Loners. Or maybe just “non-people people”. For whatever reason: shyness, past hurts/disappointments, or insecurities, some people just prefer to be alone. And some of us think that relationships just aren’t worth all the hassle. But here is what I think: We were not intended to live life alone. True, it is easier not to bother with people. You can do what you want when you want without the worry of what other people think or do. But we were put on this earth to do life with one another. We are better together than we are apart – even with all of the complications of relationships. Part of the development process is working through the challenges. There are things we learn only be growing through the frustrations of relationships. We must have this skill if we’re going to succeed in life. A mess can actually become a beautiful thing. And by the way, the “harvest” part of this verse describes our purpose. God has given us a job to do and it requires a team. If we intend to get anything done for God, it will involve and include other people. There is no way around that. If you don’t have close friends and if you don’t like your family – life will be cleaner. But you won’t get anything done in life – especially in regard to relationships. Let’s stop looking for perfection in others. Let’s drop our expectations that life with other people will be easy. Of course there will be conflict. Other people will get on your nerves and let you down and make you mad. Welcome to the human race. But we have to keep running in the race. If something is causing you to remain distant from the church, from friends, from your family – let’s ask God for healing. By the way, He probably won’t answer your prayer to change the other people around you – but He just may change you! Let’s learn to deal with the dirty stable so we can produce a larger harvest. Oxen really smell don’t they? We have gotten used to words being redefined. It happens all the time. “Sick” now means “really good”. “Wicked” now means … “really good”. Maybe eventually most words will evolve into meaning “really good”! But today I’m thinking about the nuances of the language we use to identify our relationship status. Specifically, I am talking about the word “single”. “Single” used to mean unmarried. Now single means no boyfriend or girlfriend. This metamorphosis may seem slight and inconsequential. But I think not. Along with a redefinition of the word comes a redefining of behaviors. Dating couples who no longer consider themselves single act, in most ways, as married couples. This is where the problem arises. I see kids changing their relationship status on facebook from “single” to “married”, and I get nervous. Obviously, they didn’t have a wedding but I see danger signs here. I also recently saw the old “it’s only a piece of paper” thing mentioned in regard to living together outside of marriage. Again, I get nervous. Call it what you want, change the meaning of words if you like. 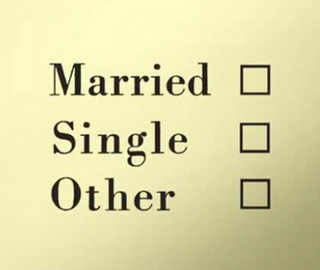 There really are only two ways to identify yourself as it relates to marriage: single or married. If you did not have a legal wedding, you are single. Oh, and the “it’s complicated” thing? I’m even more nervous! A few weeks ago, we were headed to a conference for the purpose of giving exposure to our missions work. When we arrived at the airport, we realized we had left all of our presentation materials back at home. I had to go back home to get them, and I ended up flying standby. Otherwise, we would have been without the most important stuff – the very reason for our trip. It seems to me that there is a sufficient amount of emphasis on skills development and strategy engagement among leaders. Bennis is right – know-how is not the problem when someone fails. The problem almost always is, leaders lose their bearings. They have a moral lapse. They fail and fall. · Forgetting what brought success. Honesty and integrity are not very glamorous foundations, but must be maintained in order to prevent moral failure. · Corruption from outside sources. Unscrupulous characters will be attracted to success. Know who they are and avoid them! · Arrogance of success. Pride is the greatest enemy of leaders. Stay humble; stay on track. · Too busy to pay attention to details. Never become so preoccupied with leading that you forget to focus on small, important, moment-by-moment decisions. Leaders (and followers) don’t forget the most important thing – your character. On Sunday, Rich Whitter delivered a great message at Cross Community about how God has decided to making his living place within us, how we are the temple of God. We were reminded that God no longer lives in houses made by human hands (Acts 7:48). He now lives in us. I’ve been thinking about that ever since. He told us that we are the temple of the Living God. A couple of weeks ago, my wife and I went to some meetings for pastors. We were visiting an unnamed city and state, but rest assured, the culture was a bit different that what we are currently accustomed to. Our current location emphasizes, sometimes to a fault, physical appearance. I was taken aback by the number of overweight people present. I don’t mean to be cruel, but the average weight of the people in this group was well over average. Again, these were pastors and leaders. Without being too judgmental, I think this may reveal several problems. At least many people perceive this to be a problem. I don’t like it when people characterize Christ followers and especially pastors as lazy, fried chicken eaters. 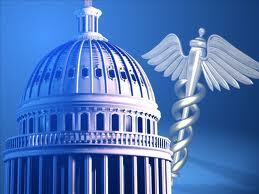 We may really be hindering our effectiveness in a world that is so health-conscious. While some people have health issues that prevent them from losing weight, many people lack the discipline it takes to be healthy. We are the temple of God, shouldn’t we take care of ourselves? We want to feel good and be strong and have good health because we are God’s house. We want to live long lives so we can accomplish more for God. Doesn’t it make sense that we should stay in some kind of reasonable physical shape? We can glorify God more through our bodies if they are healthy. You only have one body – take care of it, because it belongs to God. I make a living in the church, actually through the church. Worship services usually happen in the church but they are only a part of what we do. I went to church before I was paid to go and should I lose my job in ministry, I would keep going to church. I usually emphasize a missional expression of ministry, or carrying out in our culture what Christ tells us in the church. But today I want to discuss what I get out of worship services. In addition to the usual (worship, prayer, learning more about God, etc. ), I find many personal benefits to regularly attending worship gatherings. These things have nothing to do with my being a pastor. They have everything to do with me going to church services. I encourage others at church. Many people don’t believe it, but their very appearance in a church service is an encouragement to other people. Obviously if you are not there, they will not get that encouragement. So I go. I get to experience “the moment”. God’s Spirit works in unique ways while His people are gathered in a group. That moment cannot be recaptured or transferred. If I miss it, I just miss it. There is power in spontaneity. God might tell me to say something or do something for someone “right now”. If I’m not there, I will miss the spontaneous. I get to use my gifts that are intended for worship gatherings. The Bible is clear that some of the talents given to people are given for the purpose of building up others while at worship. If I don’t go to church, I cannot use those gifts anywhere else. I am made aware of the right-now needs of my church family. A simple look in the eye can inform you of someone who is hurting or frightened or angry. I can respond, on the spot, to that need. If I am not at church, I won’t even know of the need. So I go. I am “in the know” with the immediate direction of our church. I don’t want to hear through the grapevine about something special that God is doing or a change that is taking place. I want to see and hear it first-hand. I am able fulfill my responsibility as a member of my church. Among our responsibilities are: prayer for others when they need it, responding to crisis at the moment, providing support when it is needed, and participating in the forward movement of the church. If I am somewhere else, none of this can happen…until maybe later. Sometimes, later is too late. These things cannot happen outside of the church, so I go. Often. I love going to church and my life would be incomplete without it. So I go. Whether or not I am a pastor, I go to church. So before you decide to skip church, or before you allow something else to push your church service to the back burner, please know that your attendance and involvement is important. 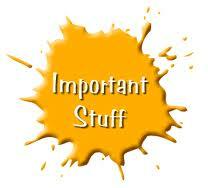 Don’t miss something important. Go to church. How about you? 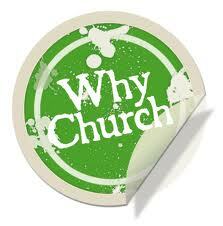 Why do you go or not go to church?